1)Item: Fashion PVC girl raincoat. 5)Color and Printing: Pink, rhodo orange yellow green purple blue, ( available to customer`s demand. ). Front chest, whole back, edge of bottom &bellow pocket with printing etc. 6)Packing: 1pc/opp ploybag, PVC bag, 50 pcs/carton. 8)G. W.: 13KG, N. W.: 12KG. Looking for ideal Kids Pvc Rainwear Manufacturer & supplier ? We have a wide selection at great prices to help you get creative. All the Dark Blue Kids PVC Rainwear are quality guaranteed. 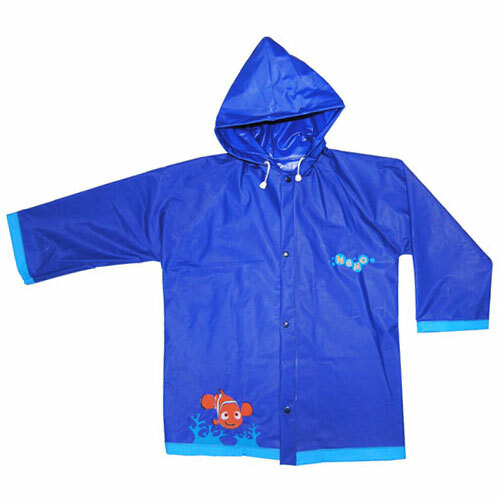 We are China Origin Factory of Blue Kids Pvc Rainwear. If you have any question, please feel free to contact us.